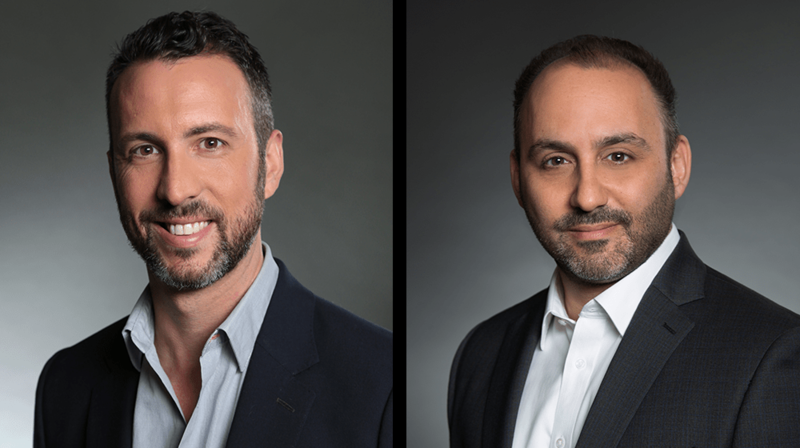 Santa Monica, CA – Wednesday, June 6 – Skydance Media has named Ian Sheppard as Senior Vice President Development for Animation and Lawrence Jonas to Executive in Charge of Animated Television, effective immediately. In the newly created roles, Sheppard will be responsible for overseeing the creative development of feature films and television series for Skydance’s rapidly expanding animation division and Jonas will oversee all aspects of production for the upcoming slate of high-end television series. Both Sheppard and Jonas will report to Bill Damaschke, President of Animation and Family Entertainment. Prior to joining Skydance, Sheppard was Vice President of Development at DreamWorks Animation Television. In 2013, he was one of the founding members of the DreamWorks Animation Television development team, tasked with producing over 300 hours of original content as part of the company’s groundbreaking deal with Netflix. While at DreamWorks Animation, Sheppard developed a number of key franchises into television series, including “Voltron: Legendary Defender,” “Trolls: The Beat Goes On,” “Dawn of the Croods,” “The Boss Baby: Back in Business,” and “The Adventures of Puss in Boots.” Before DreamWorks Animation, he spent nine years at Nickelodeon where he served as Executive Director of Development for Nickelodeon Original Movies. Sheppard holds a B.A. degree from New York University. Before joining Skydance, Jonas spent six years at DreamWorks Animation Television, becoming a four-time Emmy nominated Line Producer on the Guillermo del Toro series “Trollhunters,” “3 Below,” and “Dragons: Race to the Edge.” Jonas is a 19-year veteran of the animation industry and has worked on feature films at Sony Pictures Animation, Universal Pictures and the Walt Disney Company. He is a member of the Producers Guild of America and holds a B.S. from the University of Miami. Skydance is a diversified media company founded by David Ellison in 2010 to create high quality, event-level entertainment for global audiences. The Company brings to life stories of immersive worlds across its feature film, television, and interactive platforms. Its feature films include Annihilation, Geostorm, Life, Jack Reacher: Never Go Back, Star Trek Beyond, Mission: Impossible – Rogue Nation, Terminator Genisys, Star Trek Into Darkness, World War Z, G.I. Joe: Retaliation, Jack Reacher, Mission: Impossible – Ghost Protocol and True Grit. Skydance’s next feature film to release is Mission: Impossible – Fallout on July 27, 2018. In 2017, Skydance formed an animation division to develop and produce a slate of high-end feature films and television series in partnership with Spain’s Ilion Animation Studios. Skydance Television launched in 2013 and its current slate includes Emmy-nominated Grace and Frankie on Netflix, Altered Carbon on Netflix, Jack Ryan on Amazon, Condor on AT&T Audience Network, and Dietland on AMC. Skydance Interactive launched in 2016 to create and publish original and IP-based virtual reality video games. Skydance Interactive’s first original title is Archangel, a story-driven VR shooter game.